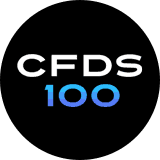 According to the latest warning of the UK’s Financial Conduct Authority (FCA), the Forex and CFD broker CFDs100 was blacklisted as it is not licensed or authorized by the regulator, although was targeting the UK customers. As to the targeted countries, most probably those are European German-speaking countries as the website supports English and German and they also provide the contact phone numbers with British and Austrian country codes. To sum up, it is better to stay away from CFDs100, a broker that has two warnings in its collection and also a quite big number of the negative review from the traders who was scammed by this firm. We recommend selecting among brokers licensed by the respective authorities in the UK, or Australia for example. For instance, a broker registered with the UK’s FCA can’t simply take investor’s money and disappear. They follow multiple reporting procedures and have to keep client funds segregated from the company’s.